The owner of a trucking company received the maximum sentence possible by a federal court in Missouri after pleading guilty last year for his role in a cargo theft scheme. Nu World Trucking owner Earl Stanley Nunn, of Memphis, was sentenced to 10 years in federal prison without parole, and ordered to pay more than $3.5 million in restitution. On July 14, 2014, Nunn pleaded guilty to theft of an interstate shipment. Nunn was the leader of a cargo theft ring that used the resources of his company to steal cargo in various states. According to the U.S. Attorney’s Office for the Western District of Missouri they did so by bobtailing through truck stops and service stations located on or near interstate highways, looking for semi-trailers that had been left parked and unattended, and were not coupled to tractors. When they located a semi-trailer that appeared to be unattended, they would steal the semi-trailer and the goods it contained by driving off with both. 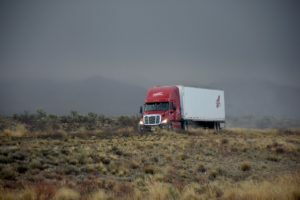 After having stolen a semi-trailer and its contents, they usually transported the stolen goods to the Chicago and Detroit areas to be “fenced” or sold. Prosecutors say co-conspirators committed thefts in various states, including Arkansas, Illinois, Indiana, Iowa, Kansas, Kentucky, Maryland, Michigan, Missouri, Nebraska, Ohio, Tennessee, Texas, and Virginia. Nunn’s co-conspirators included his nephew, Michael Lee Sherley, of Memphis, along with his son, Roderick Nunn, who pleaded guilty in a related case in Michigan, and others. Sherley was sentenced on Sept. 18, 2014, to four years and six months in federal prison without parole. The specific charge to which both Nunn and Sherley pleaded guilty involves a theft that occurred on May 11, 2013, at the Snappy Mart Truck Stop in West Plains, Missouri. Nunn and Sherley stole a 2000 Wabash trailer, valued at $7,500, which contained a load of canned corn, valued at $73,008. The trailer was in transit from Minnesota to a food bank in Arkansas. Nunn and Sherley admitted that they traveled through Missouri and Indiana with the stolen cargo before being apprehended in Michigan.